When I first read about PRETTY PENNY SETS UP SHOP by Devon Kinch, I thought it was a great idea -- or at least a great way to teach Booking Son about fiscal responsibility. I don't know how it works in your house, but my kids seem to have a lot of stuff -- pretty much everything they could ever want or need. Don't get me wrong, I feel blessed that we have so much; but at the same time, I'm extremely worried about some of the messages I'm sending to my children. While I think I'm teaching them some strong fundamentals about money management (they see me using coupons and I definitely don't buy them everything they ask for), I still an not entirely sure that they "get it" -- especially my six year old. And that's exactly where PRETTY PENNY comes in. PRETTY PENNY SETS UP SHOP teaches youngsters about sensible spending as well as the importance of saving money. Penny is a bright young girl who has enormous drive and moxie. When she decides to throw a birthday party for her grandmother and realizes that she doesn't have enough money, she open her own store (which is adorable, by the way) in her grandmother's attic. By selling off all of the items that they no longer use, she earns enough money to buy a treat for the party. Booking Son immediately related Penny's shop to our own yearly garage sales. He is excellent about getting rid of books and toys (especially for charity), but he's not too good about saving money. I think he learned a little bit about the value of a dollar in PRETTY PENNY SETS UP SHOP, and there is no doubt that this book opened up a discussion for us. PRETTY PENNY SETS UP SHOP is the first book in the series, and I look forward to reading the other books to him and teaching him a thing or two about saving. Of course, the messages about money management are terrific, but this is also a very cute book. The illustrations are also done by Ms. Kinch and I thought they were just precious. Booking Son also liked them although he did think that they were a little girly with all the hot pink and black! I thought all of the characters were sweet, but I especially liked Penny's sidekicks -- the dogs, cat and pig! I commend Ms. Kinch for aiming her money management books at youngsters. I agree that it's never too early to start teaching children fiscal responsibility. Ms. Kinch has an interesting personal experience with financial woes; and as a result, she wants to share her lesson with as many people as possible. When Ms. Kinch was in her early 20s, she accrued a great deal of debt and it took her almost 10 years to pay it off. She realized that education about money is extremely important and that it needs to begin with very young children. And viola, PRETTY PENNY was born! I am very fortunate that Ms. Kinch has prepared a guest post for Booking Mama about some fun ways that you can "Do-It-Yourself" and teach your children about some money-saving techniques in the process! Times are tough. With a shrunken economy comes a shrinking household budget, but even in tough economic times, kids still want things. It seems the desire to have fun doesn’t disappear when the economy fails. So, how do you have fun for free? Better yet, how do you have fun and make some money to boot? The Do-It-Yourself movement (DIY) is not exactly new. For years, the scrappiest among us have relied on their own resourcefulness to fix appliances, redecorate homes, repurpose old clothing into something fabulously new, and create homemade crafts for little or no money. What better way to engage young people than in the act of using their heads and hands to have some fun on the cheap? 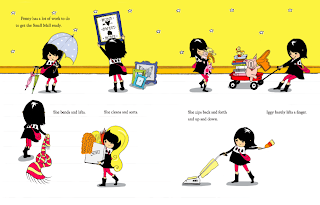 When I wrote Pretty Penny Sets Up Shop, I wanted Penny to be a resourceful young girl who is able to solve problems (in her case, financial) by using things readily available to her. Penny is determined to throw a surprise birthday party for her grandmother, Bunny, but doesn’t have any money. Penny arrives at a solution that doesn’t require a dime: she will transform her grandmother’s attic into the Small Mall. With Bunny’s permission, she will sell old, unwanted items in an effort to make some cash. Penny pulls it off in her own signature style. As the series develops, Penny will dream up all kinds of unconventional and humorous solutions to everyday money problems. She’ll tackle topics like investing, understanding advertising, using credit cards, and stealing - all with that inspiring can-do spirit. She has the uncanny ability to turn nothing into something while having a whole lot of fun. The DIY approach is helpful in a tight economy, but it’s an especially useful skill for children as they begin to understand financial fundamentals. For parents interested in helping their children “set up shop,” visit myprettypenny.com for a free downloadable Small Mall Starter Kit that includes, coupons, price-tags, shop ledgers, receipts and more. Devon Kinch is a designer and illustrator who struck upon the idea for Pretty Penny while successfully repairing her own relationship with money after years of accruing debilitating debt. The Pretty Penny series became her thesis work at the Designer as Author program at the School of Visual Arts. It is Devon's belief that young children can avoid financial trouble by learning how to establish a healthy relationship with money at an early age through fun, creative storytelling. This is her first children's book. 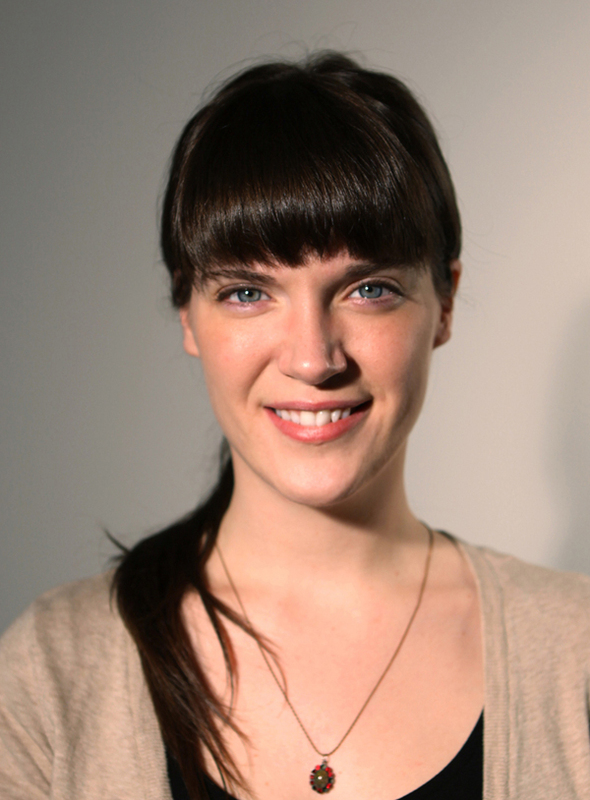 Born and raised in Ramsey, New Jersey, Devon studied painting and art history as an undergraduate and earned her Master's Degree in Design from the School of Visual Arts in 2009. She lives in Brooklyn, New York. 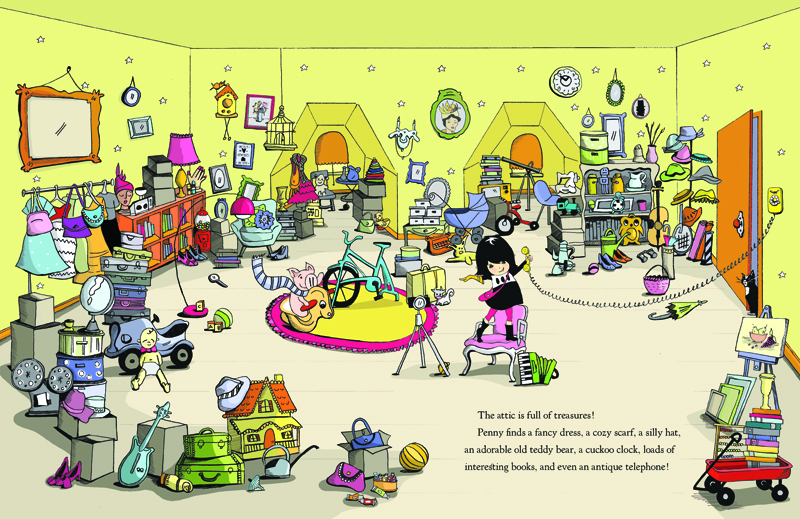 we read/reviewed PRETTY PENNY, too - she is an adorable (and smart!) character, glad this is only book one of the series. 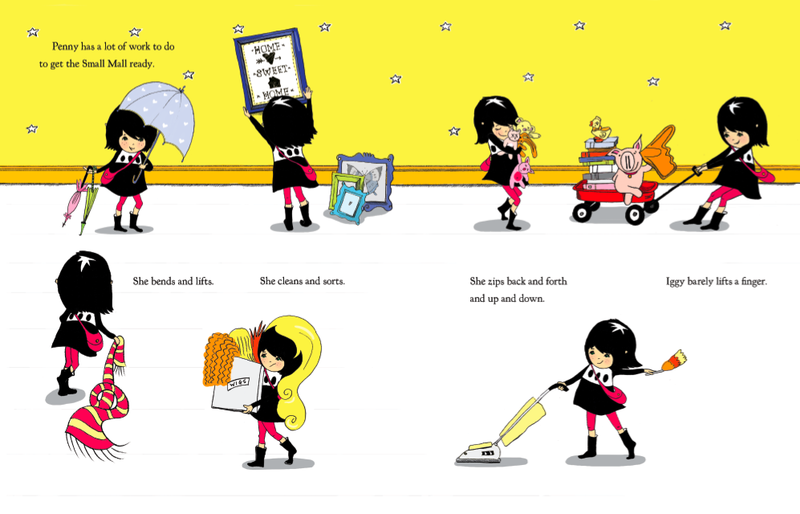 Nice that you were able to include the inside spreads to show more of Kinch's illustrations - very fun!